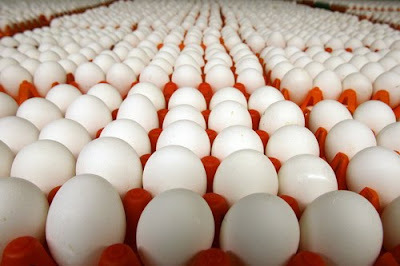 LONDON, England -- Ukraine's biggest egg producer Avangard has announced a stock-market float in London, becoming the first firm from the Commonwealth of Independent States (CIS) to call for a IPO in the UK this year. The company, possessing nearly 16,000 birds Tuesday revealed that it required funds to develop and expand new facilities, however, declined to give further details on how much it hoped to raise. It is reported to seek about $200 million (£131.6 million) in the sale of about a quarter of the company which it aims to utilize to finance the completion of two factories in the Ukraine. "Avangard is already the leading egg production and egg-processing company in Ukraine and the listing will help strengthen the company's position as one of Ukraine's most successful agro-industrial companies," quoted, Chief Executive, Nataliya Vasylyuk. Aluminium giant UC RUSAL has opted to list in Hong Kong and Paris in January, while a string of other companies are planning IPOs in Moscow. Avangard's revenue registered a climb to $320 million (211 million pounds) last year from $303 million in 2008, with earnings before interest, tax, depreciation and amortization (EBITDA) touching $152 million.